Economically adding valuable 'square footage' to your home is just the start of it. 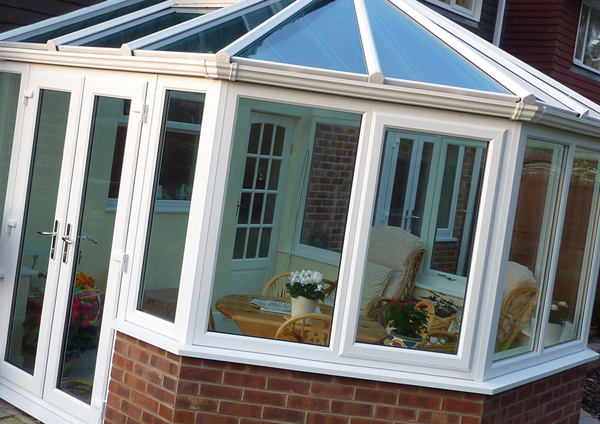 Put simply, a conservatory offers a place of light and warmth. The uses to which they are put are about as varied as their owners. A sunny Breakfast room, kid's safe play area, somewhere to read, play music or just relax. Add a few ornamental plants and it's a palmhouse! Rain or shine, it's there for you to use all four seasons of the year. Do you feel like we are 'preaching to the converted' but don't know where to start? Then why not give us a call to make it a reality. or a variation on classic shapes such as Gable, Lantern, P-Shape or simple Lean-To, we can help. 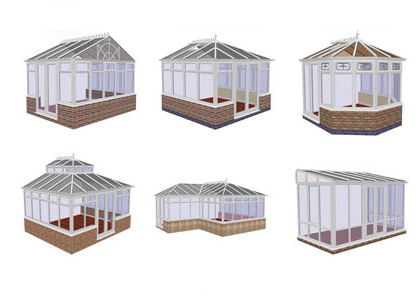 The final design of your conservatory depends on a number of factors. The size, shape and 'facing' of your outside space is an obvious starter, the style or period of your house may be next. Then of course there may be the question of 'planning permission'...but don't worry, we handle all of that. When you get down to details, there many other things to consider. The structural material, its colour, the type of doors, number of opening lights, glazing options, hardware and more. So if you have 'grand designs' - or slightly more modest ones - we can guide you through all these aspects.